Bruce Rogers has extensive experience in a variety of practice areas, such as shareholder and business litigation, government investigations, estate and trust matters and insurance coverage issues. His knowledge also extends to other areas, including healthcare, probate, corporate law, and general litigation; and he is regularly engaged to mediate and arbitrate disputes. He also is sought after as an expert witness in various litigation matters. Mr. Rogers earned his reputation as a lawyer’s lawyer through his work defending fellow attorneys, and from his many years of service to the Birmingham Bar Association, having served as President, a member of the Executive Committee, and Chairman of the Grievance Committee. He is a Fellow of the Alabama Law Foundation and is listed in publications such as The Best Lawyers in America® and Alabama Super Lawyers®. Chambers USA also named him “A Leading Lawyer in Commercial Litigation.” He is a Member of Alabama Academy of Attorney Mediators. Mr. Rogers is rated AV Preeminent® by Martindale-Hubbell®. He also was elected as a member of the Jefferson County Judicial Selection (admission to nominate judges to serve when there is a retirement vacancy). 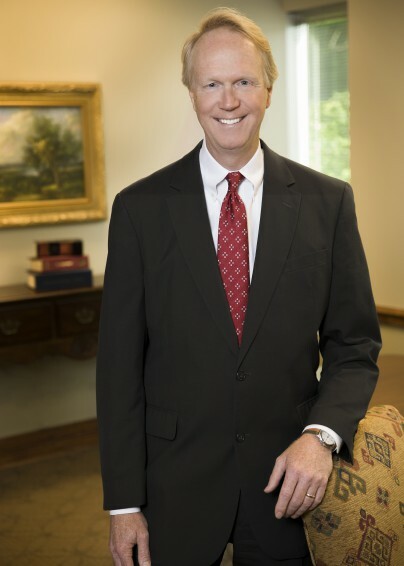 An active member of the Birmingham community, Mr. Rogers has served on various civic and charitable boards and is immediate past Chairman of the Board of Trustees of his alma mater Birmingham-Southern College. He has served on the Board of Trustees for the Cook & Bynum Mutual Fund since its inception in 2009. His good sense of humor keeps him grounded and forever popular among family and friends. He and his wife Kim have raised two children – spending many weekends at their family farm. Mr. Rogers graduated from Vanderbilt School of Law, where he served as Managing Editor of the Law Review. He is a frequent speaker on a variety of topics at continuing legal education events.